Commissioned by artist Bella Kerr as part of a collection of texts to feature as a document to accompany the exhibition, 'Keeper' at Mission Gallery, Swansea 2013. 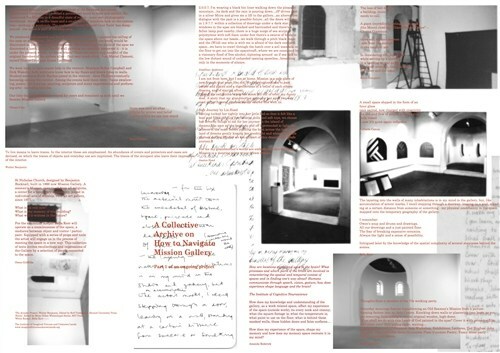 An Archive to Navigate Mission is a collection of poetic texts and responses mapping the history of the gallery through memory and observation. 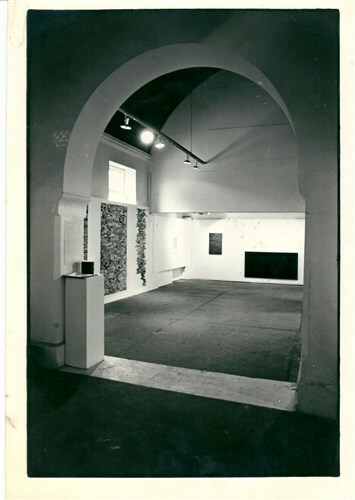 Featuring texts from founder members who were instrumental in turning the old Seamen's Mission into an artist lead space from the early 70's, to current student volunteers, exhibiting artists and administrators who have known and helped develop the gallery. St Nicholas church built in 1868 was an interdenominational church offering visiting sailors to Swansea 's once huge docks a salvation and a place of worship for all. The piece forms part of a series of colaj works and prints as well as a number of contributions and drawings which offer a form of archiving based on the idea of the memory of architecture and memories we associate with the space. 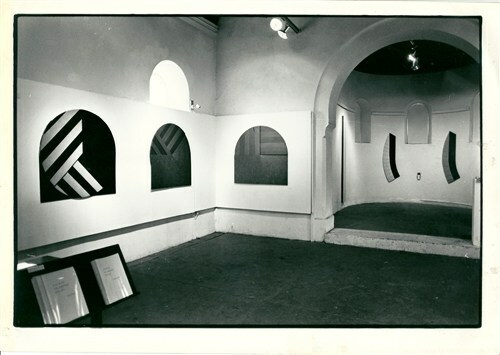 Using Walter Benjamin's Arcades Project and his form of note taking mixed with observation, quotation, cultural/political commentary and philosophy to create a poetic work, comprised of a number of smaller pieces, which map the development of a space and its many identities and parallels. The Arcades Project and its history was an important guiding inspiration in the process of inviting participants to enter into the process of this archiving work - this is an ongoing project.